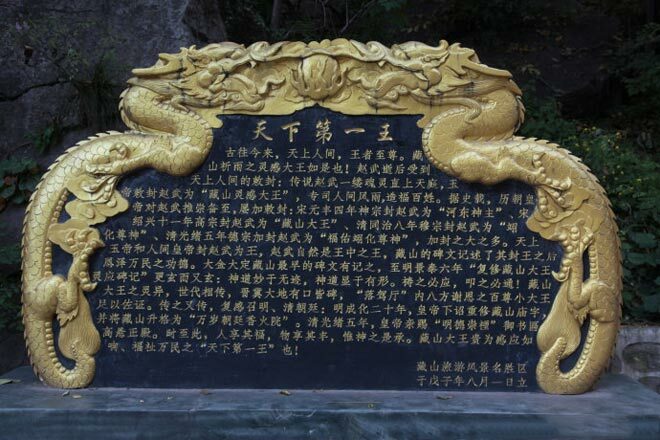 Zang Mountain is the first historical and cultural mountain, and named after the story of “The Orphan of the Zhao”. 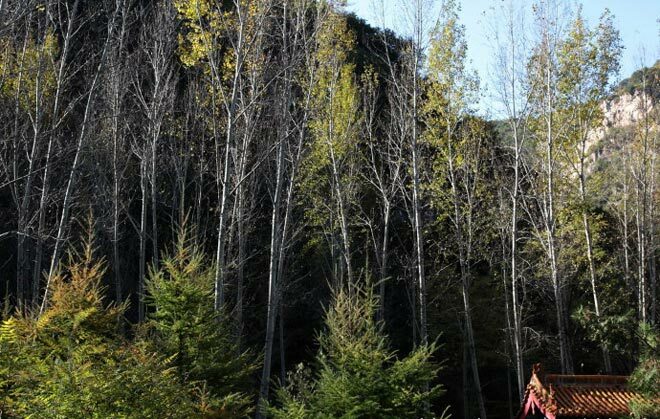 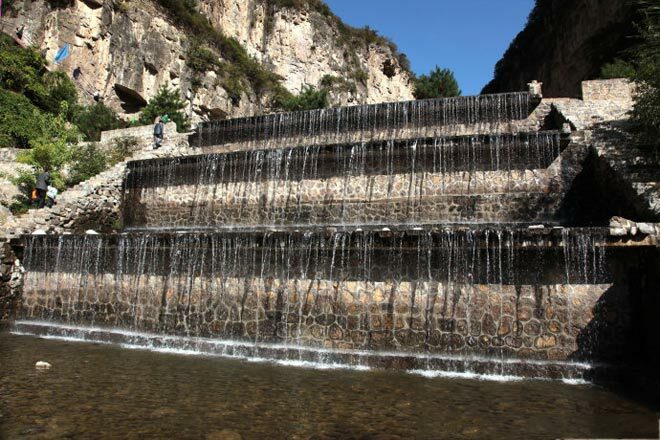 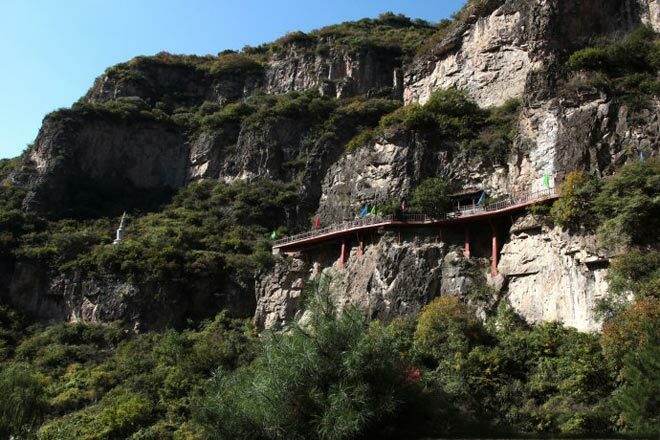 It is located at the western foot of Taihang Mountains, 18 kilometers north of the Yu County, Shanxi province. 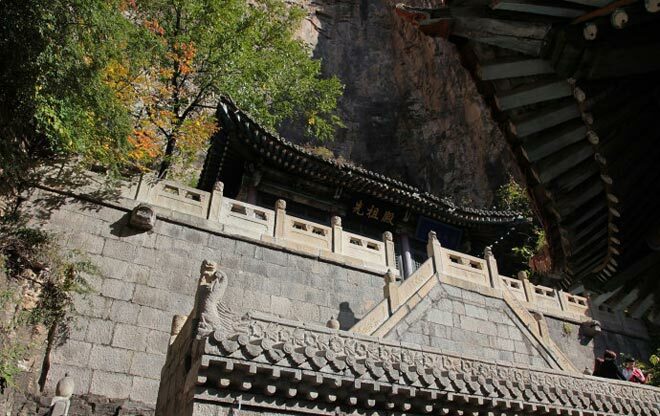 In the mountain area, there are towering peaks and crags, as well as ancient temples, waterfalls, and flowers, gathering lots of Chinese culture. 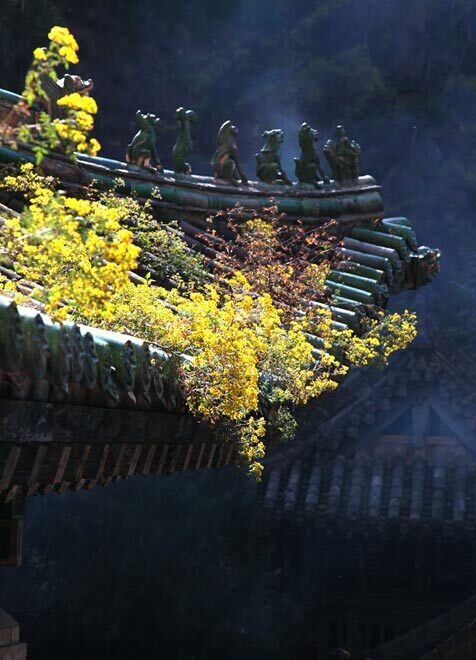 By the principle of the protection and development, integrated the unique natural scenery of Zang Mountain, repair old temples, with the implementation of the Yusen Park and Spring and Autumn Period loyalty park tourist facilities, as well as fairy peak ecological construction. 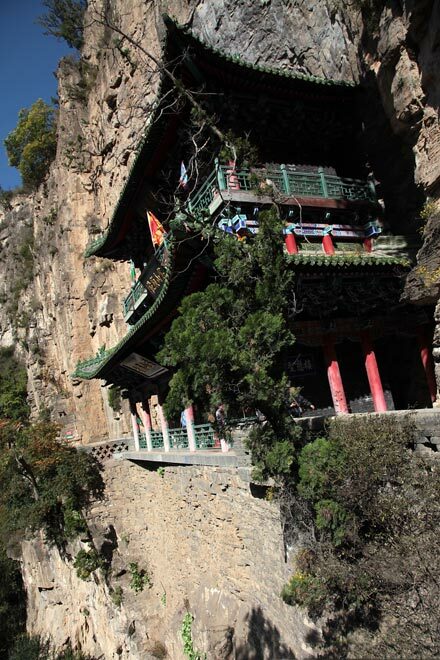 There are four main tourist areas in the mountain, including 158 tourist attractions. 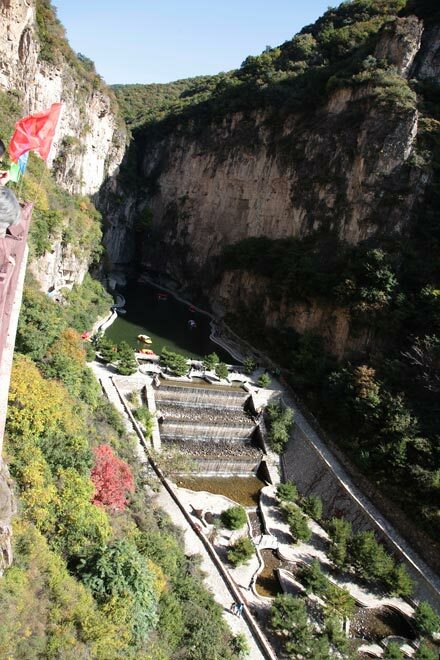 Autumn, October 3, we came to Zang Mountain by car from Yangquan, arriving an hour later. 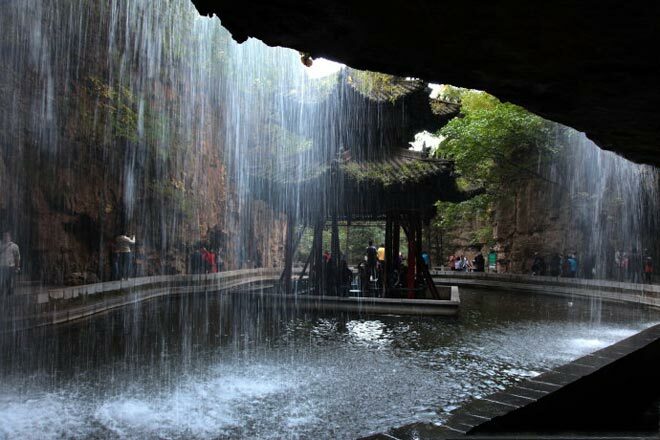 During the Chinese golden week, compared with those popular attractions, it was much more comfortable. 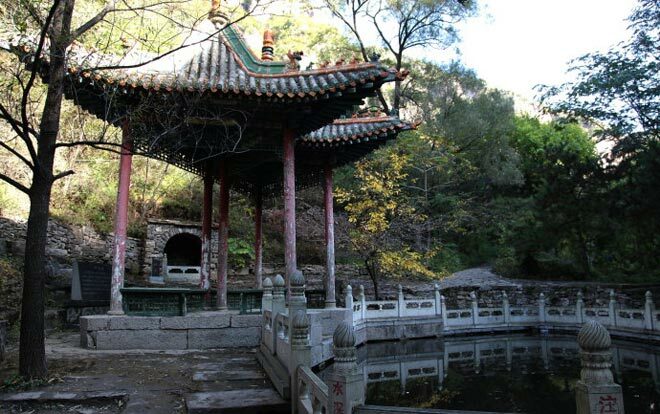 We first came to the Yugu Park as soon as entering the scenic area, where reproduced the whole story of The Orphan of the Zhao. 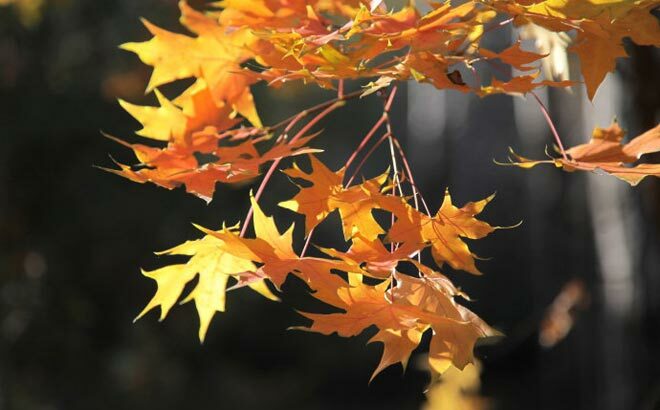 In this season the Acer mono basically turns red, pleasing to the eye, especially in the early morning sunlight. 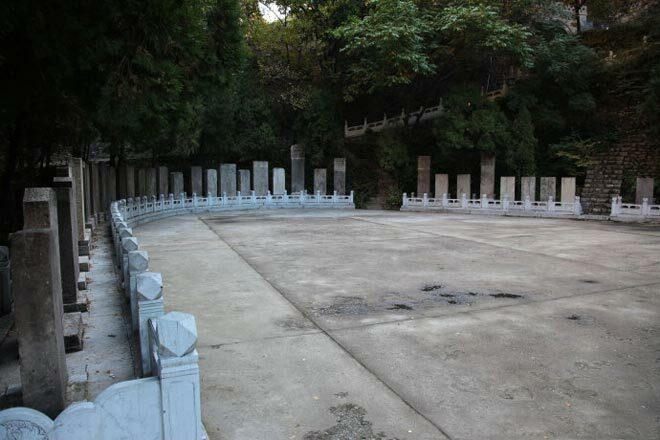 There are several small Taoist temples along the way. 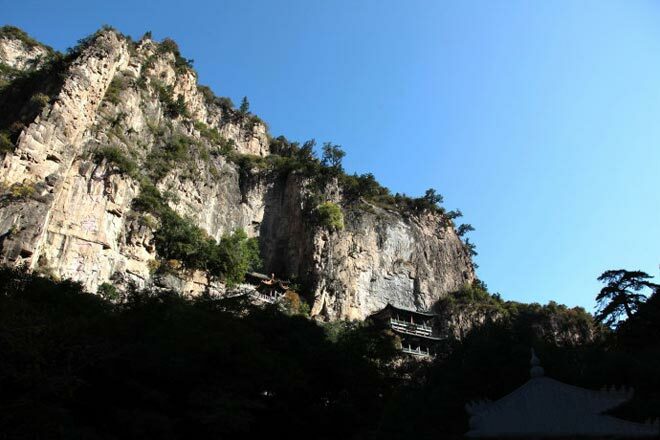 This is the Mawang Temple. 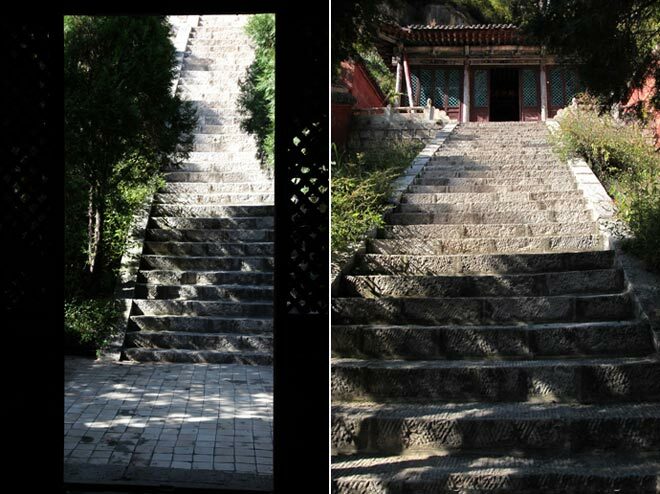 Upper to an open area, that is the "China Hidden solitary resort”. 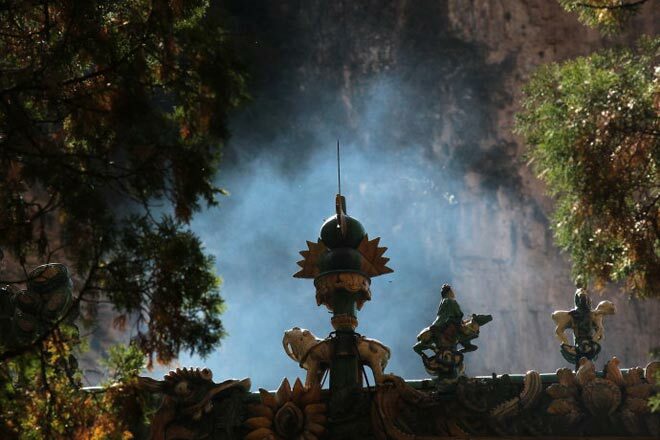 Many people with lofty ideals regard this place as the holy land of loyalism. 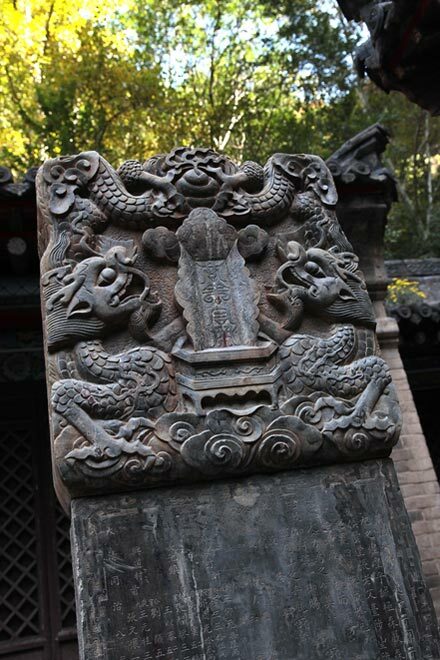 There are many inscriptions and relief murals hand down form the ancient literati. 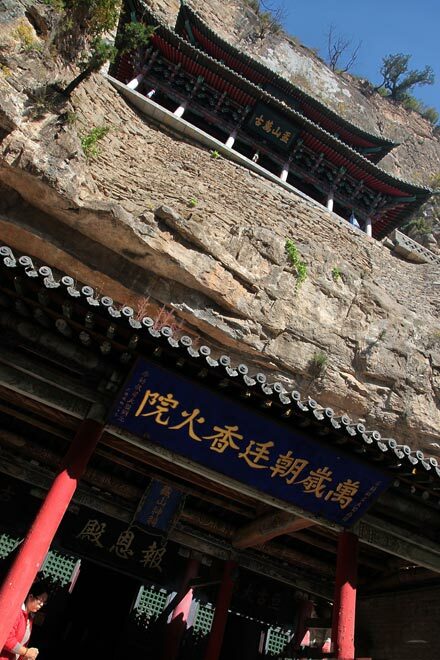 Zang Mountain is a colorful volume with vicissitudes changes of China. 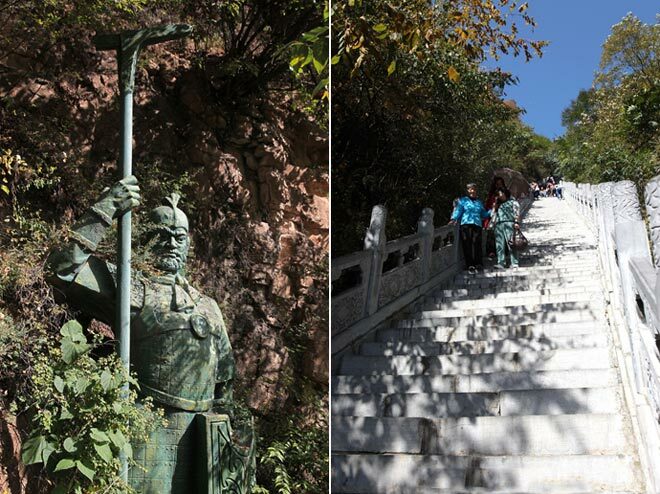 The stairs are not too high, so climbing the Zang Mountain is rather easy, mountaineering experience. 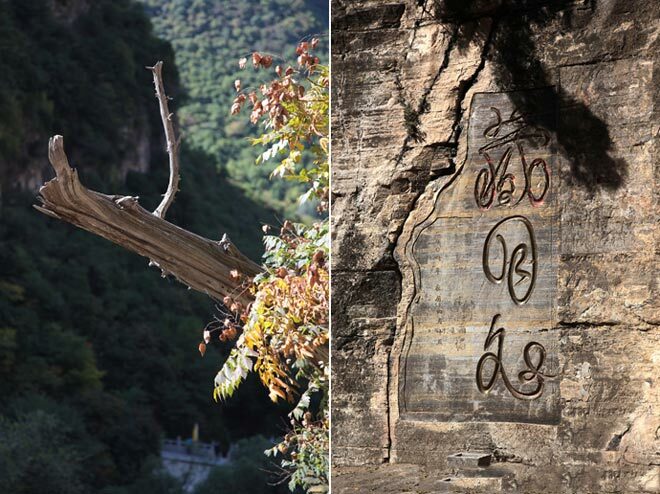 The huge rock engraved with some word. 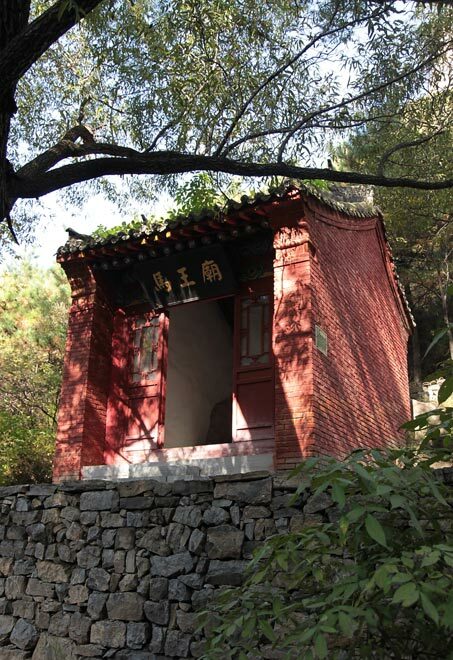 Ancestors Temple is the tallest building in the Zang Mountain Temple, which enshrines Zhao's three generations of ancestors of the Orphan of the Zhao. 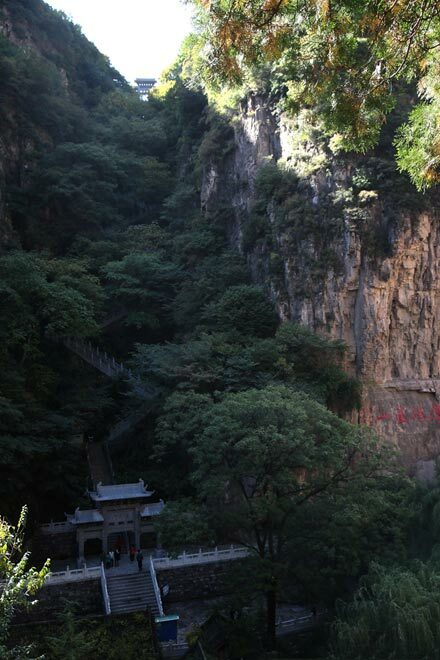 The south peak “Wat Peak" stands straight. 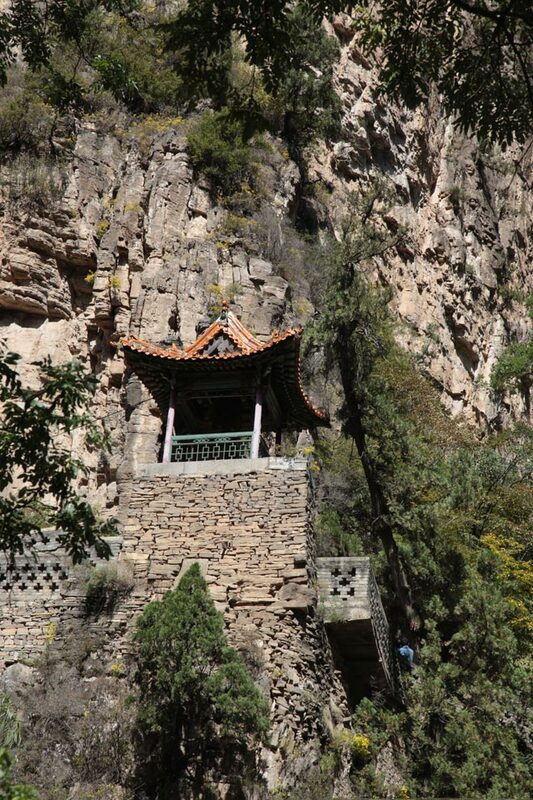 There is always a corner of temple exposed on the hilltop, which is a kind of scenic feature of Shanxi. 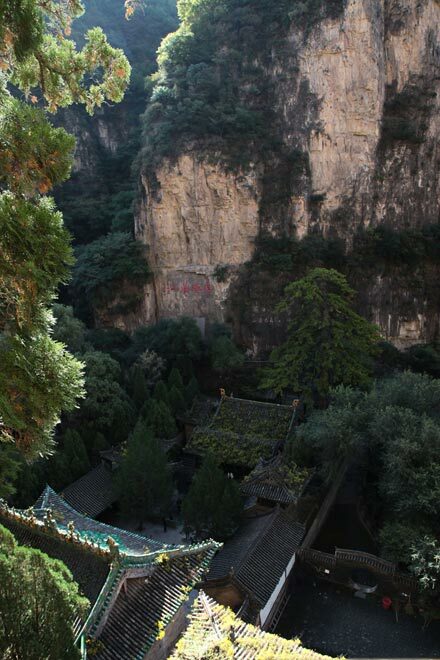 Zang Mountain Temple is the main building of the Spring and Autumn Period Zang solitary Holy Land. 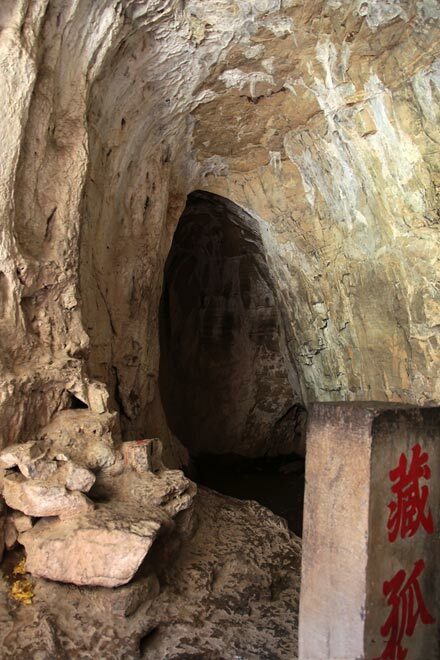 Hidden solitary hole is located in at the foot of the North peaks, a big house-like hole, without invaded by wind and rain. 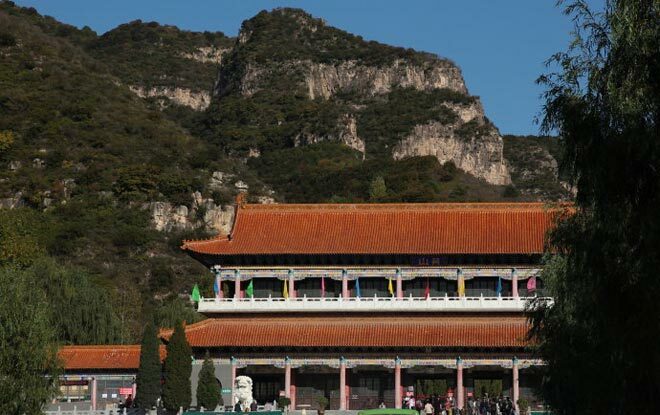 Zang Mountain Temple is a large scale and spectacular momentum building groups, incense exuberant year by year. 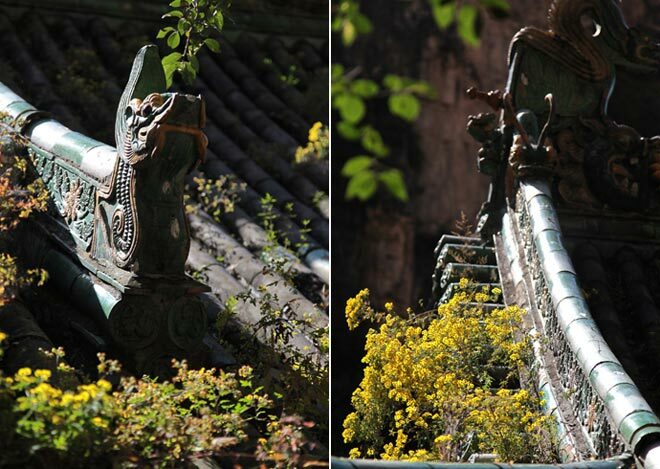 In addition to the palace was built in the Yuan Dynasty, most existing ancient buildings were new built in Jiajing Ming Dynasty and Qing Dynasty. 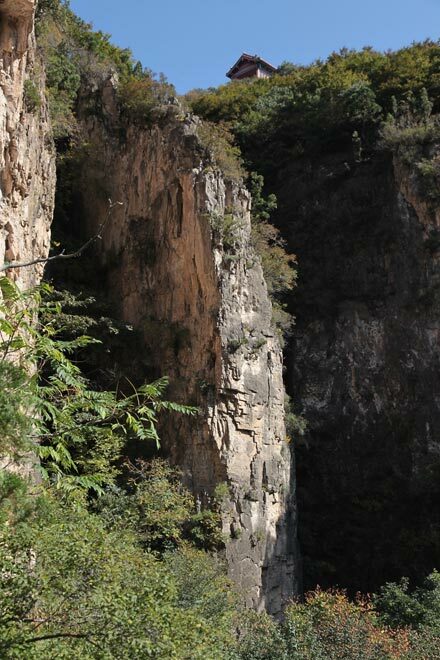 Climbing high and looking afar, there are beautiful mountains, as well as verdant green the ditch and gully. 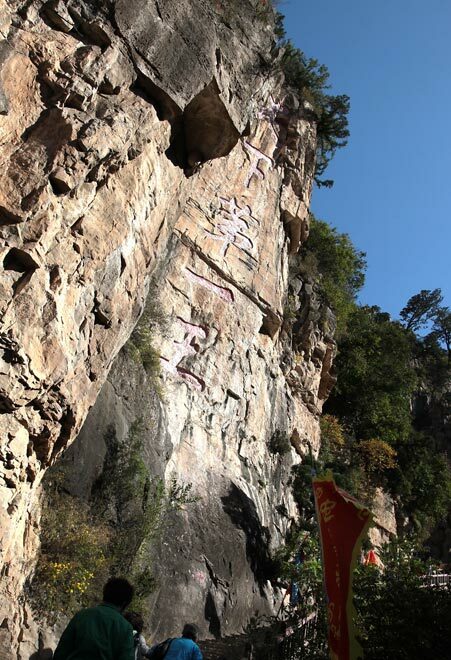 There is the extremely steep stone road south from the "Heavenly Gate". 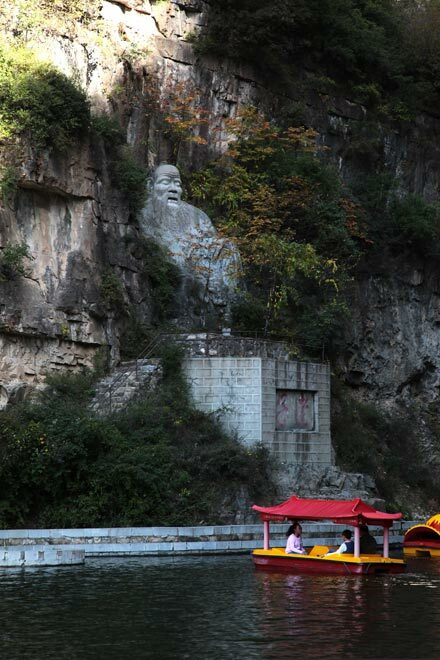 After the Heavenly Gate, the south-facing is the cultural attraction of the three religions.